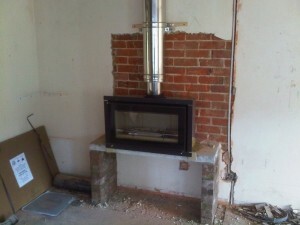 This Stovax Studio 1 wood burning stove installation took place in a property in Odiham, Hampshire. 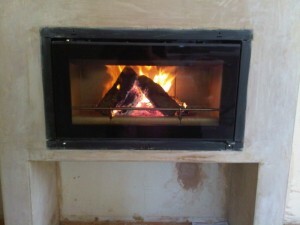 The second fireplace we were commissioned to do for our client in Odiham, Hampshire. The Studio 1 inset stove is designed to create a striking feature in the living space. It has an enticing widescreen flame visual complemented by an extensive array of frames and styling options. It is available in four different sizes. Also it features the latest Cleanburn and Airwash system, allowing it to burn with outstanding efficiency. 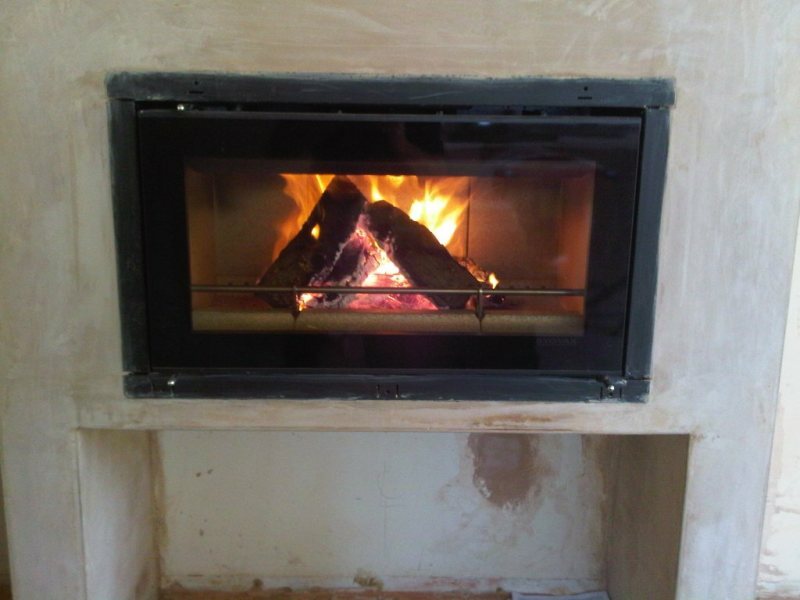 It was our task to install the Stovax Studio 1 wood burning stove with a completely new twin wall flue system. The twin wall flue system route had to be directed through the dressing room above. Then through the roof and then outside. Finally, after our installation was complete, the fire was built into a fabulous cabinetry and made a stunning addition to this family room. 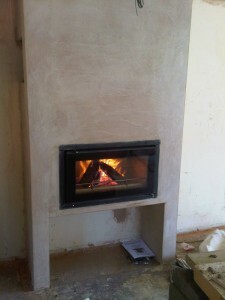 View another Stovax Studio 1 wood burning stove installed by The Billington Partnership.